Dr. Amanda Doherty is a pathologist based in Greenbrae, California. She has been in practice for more than 15 years. Dr. Doherty graduated from the medical school of the Duke University in 2015. She continued with a residency stage in anatomic and clinical pathology at the University of California, San Francisco, followed by fellowship stages in surgical pathology and liver & gastrointestinal pathology at the same institution. She is a board-certified specialist in anatomic and clinical pathology. Dr. Doherty is a member of the College of American Pathologists. She has also contributed to a published research that focused on liver Gadolinium accumulation and fibrosis after gadoxetate disodium administration. 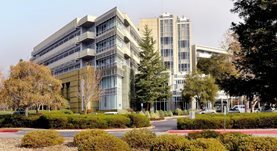 At the moment, Dr. Doherty is affiliated with the Marin General Hospital and the Kaiser Permanente Medical Group. Dr. Amanda Doherty has contributed to 1 publications. Gadolinium accumulation and fibrosis in the liver after administration of gadoxetate disodium in a rat model of active hepatic fibrosis. Hope, T. A., Doherty, A., Fu, Y., Aslam, R., Qayyum, A., Brasch, R. C.; Radiology. 2012 Aug.